Are great leaders lucky that they had the opportunity to lead, or did they prepare and seize the moment when given the chance? 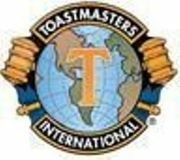 Attending Toastmasters every week has been a proven success in preparing our members to be leaders in the office, church, small business, and in our community. There are many good reasons why Toastmasters teaches both communication and leadership skills. People with good communication skills are more likely to be promoted to leadership positions, and good leaders need communication skills to be effective. In other words, if you want to be a leader, you have to learn to speak like a leader. And Sandy Springs Toastmasters is here to help. When you're ready for more, please RSVP to let us know your coming to our next meeting.